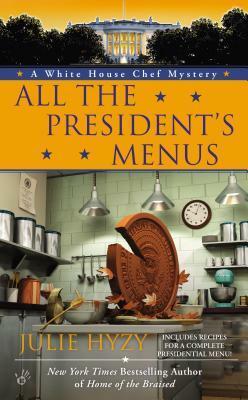 This is the eighth book in the delightful White House Chef Mystery series, which treats readers to an insider's view of what it's like to work in the White House kitchen. Protocols, meal preparation, and event planning are dished up with a side of mayhem and recipes, leaving me waiting with bated breath for each new installment chronicling the latest adventures of executive chef Ollie Paras. As executive chef at the White House, I was responsible for feeding the First Family and--whether they be friend or foe--all the home's guests. I took my duties to heart, and was exceedingly proud of my team and the small part we played in shaping our country's history. 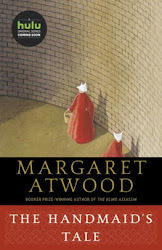 Page 56 (of e-book): " 'I have to tell you, this situation makes me wonder.' She fiddled with her fork without looking up. 'About where I'm going.' "
Friday Focus: The Friday 56 & Book Beginnings #71 was originally published by Catherine for bookclublibrarian.com. This post cannot be republished without attribution.